This week, two girlfriends and I hit the road for a fun day of shopping in Ottawa. We were mostly just excited for the adult only shopping. We were able to spend nearly 3 hours in IKEA! The last time I was in there I think it was 20 minutes, two tantrums and an abandoned cart because the kids go crazy in there. (I think its the big open space, makes them lose their minds). We had such a fun day, and shopped til we dropped! We hit up a couple of craft stores and I finally purchased some polymer clay for a project that I have been wanting to try for quite some time now. 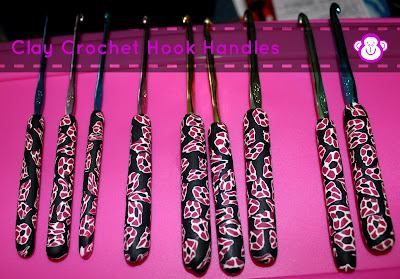 I LOVE the idea of clay handled crochet hooks and I thought it would be a fun project to do myself. Can I just say, I LOVE working with clay! I have never used it before... what a breeze! It was easy and fun, and I included the boys in the project by having them soften the clay for me. I started by searching Pinterest for tutorials on working the clay. 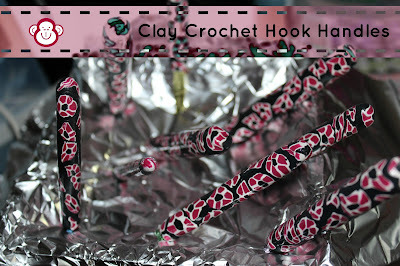 I found this tutorial for creating clay canes. This was the most time-consuming part of the project, but so much fun to make! After creating the canes, I just used a fine blade knife to slice the cane in sections to work. 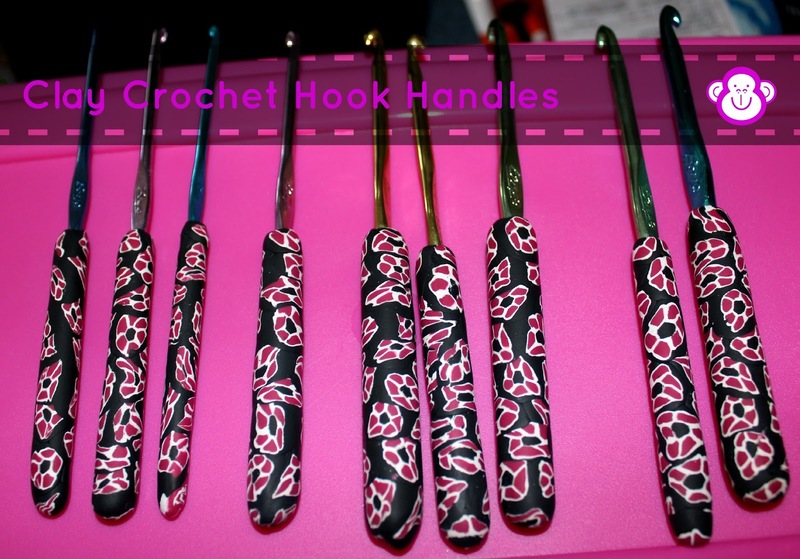 Then I just worked the pieces together to cover the hooks, making sure to smooth the creases. The hooks were baked based on the instructions on the package of clay, and once they were cooled, I glazed them with a multipurpose clear coat. I didn't take any photos during the process, not sure why/how that happened, but here's the finished product!